Reminds me of a joke we played on a freind. He had a packed lunch in which there was a Tunnocks Tea Cake, when he was out the office we carefully opened the wrapping and made a small hole on the chocolate. We then carefully pushed peanuts through the hole into the mallow before carefully wrapping it up again. His face was a picture when he bit into it! Alycidon wrote: Reminds me of a joke we played on a freind. 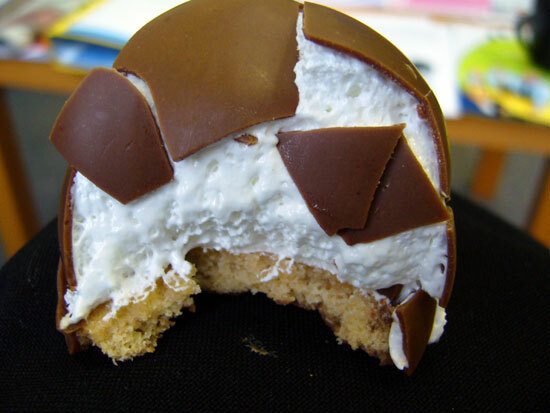 He had a packed lunch in which there was a Tunnocks Tea Cake, when he was out the office we carefully opened the wrapping and made a small hole on the chocolate. We then carefully pushed peanuts through the hole into the mallow before carefully wrapping it up again. His face was a picture when he bit into it! His face was a picture as it swelled up to fourteen times it's original size as the poor unfortunate chap suffered the worst case of anaphylactic shock we had ever seen, happy days!! When I was kid growing up in Stra'ven, Archie Tunnock used to come to the Annual Exposition (or country show) to hand out prizes. He'd drive round the field in his Rolls Royce, waving like the Queen. I saw the same kinda thing in Kuwait City. Classy folks them Arabs. The Arab countries have been one of the main markets for Tunnocks products since at least the seventies. 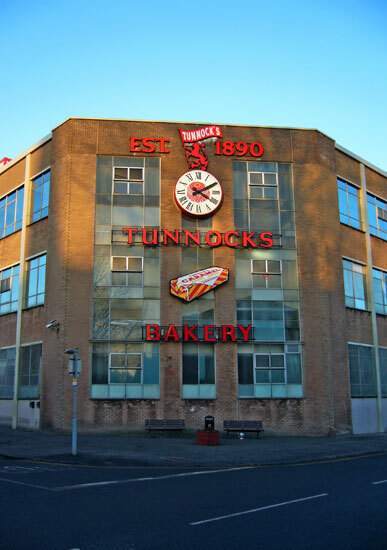 The Tunnocks were one of the very few points of interest in Uddingston in years gone by. 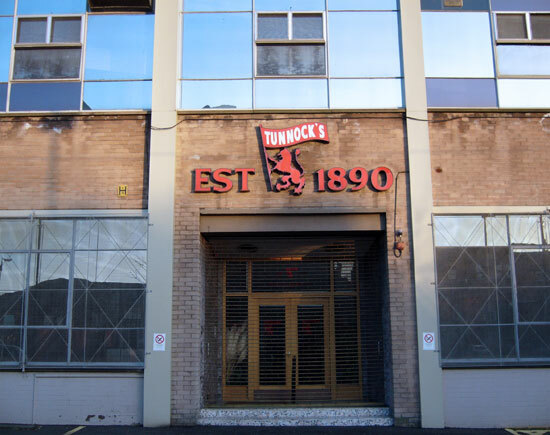 Archie toured the factory almost to the day he died in his motorised wheelchair (or his personalised Roller, as Cyclo2000 mentions - numberplate AT1, as I recall). He paid for my grandmother's wedding cake in the thirties (she was a neighbour), as he also did for many of his female (they were almost all female) workers. They were also a useful source of revenue for local kids - they would pay a reward for the return of any wildlife that escaped from their private zoo (as the peacocks did regularly). Now you mention it, I did see Tunnocks wafers for sale in Tangiers Railway station. The rhubarb or apple crumbles are rather nice. Cyclo2000 wrote: Now you mention it, I did see Tunnocks wafers for sale in Tangiers Railway station.